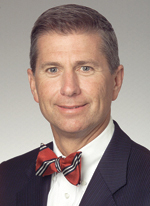 William “Bill” J. Farrell is an Executive Vice President with M&T Bank. In this role, Farrell is responsible for managing administrative and business development functions of the company’s Wealth and Institutional Services Division, which includes Institutional Client Services and the M&T Insurance Agency. He also serves as president, chief executive officer and a director of Wilmington Trust Company, executive vice president and a director of Wilmington Trust, N.A., Director of SPV Advisors Limited, President and Direction of WT Investments, Inc., Director of Wilmington Trust (UK) Limited, Director of Wilmington Trust Investment Advisors, Inc., Manager of Wilmington Trust Investment Management, LLC, Director of Wilmington Trust SP Services, Inc., Director of Wilmington Trust SP Services (London) Limited and a director of M&T Securities. Farrell joined Wilmington Trust in 1976 and has held a number of senior management positions across the organization in retail banking, investment accounting, accounting operations, trust operations and technology. In 2005, he was appointed Executive Vice President overseeing all administrative and business development functions for Wilmington Trust’s Corporate Client Services business. Prior, Farrell was responsible for managing all aspects of information technology and trust operations for Wilmington Trust, including systems development and information resource management. Farrell holds a Bachelor of Science in Accounting from Goldey-Beacom College, Wilmington, Del. An active member in the community, Farrell supports the YMCA of Delaware and previously served as chairman of the organization. He is also a board member for the Delaware Ronald McDonald House and Hagley Museum.